Hi guys. I know I've been quiet, but I'm having a hard time finding spare time. This is an extremely intense first 2 weeks of the tour. I'm either driving, flying, speaking, or signing. Sometimes sleeping. But it's fun. One last quick thing on California, and then next time I'll tell you about where I am currently: Houston, TX. Joel Harris of Clayon Books treated me like royalty my last 2 days last week. 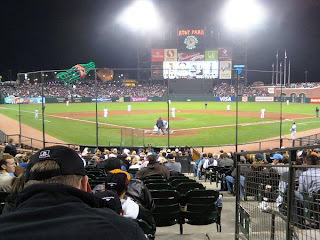 And to top it all off, he took me to the Giants-Dodgers game. And to top THAT all off, he informs me his son is a bat boy and that we get to visit the Dodgers' locker room after the game. Well, we had to wait until the players were gone, so it's not like I met anyone (though I did see Rafael Furcal, a former Brave.) But I got to help Andy and the other bat boys do the laundry for the Dodgers! 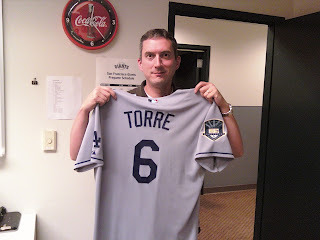 Now, yes, of course, I am an Atlanta fan and despise the Dodgers, so I tried to focus my excitement on former Braves. 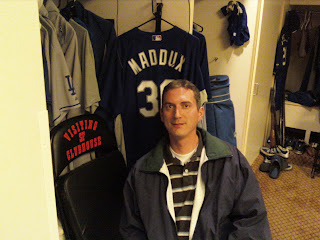 Hence the picture of Greg Maddux's locker and myself hanging Joe Torre's jersey (he managed the Braves in the early 80s). Only very disturbed people could get excited about folding jockstraps and hanging still-wet jerseys out of the wash. There you have it. Joel, Christy, and Vinitha, thank you for a wonderful couple of days. Last night we had a huge signing in Humble, TX, and it's a lot more to go this week. Until next time, may your days be filled with smiley people and lots of reading time. 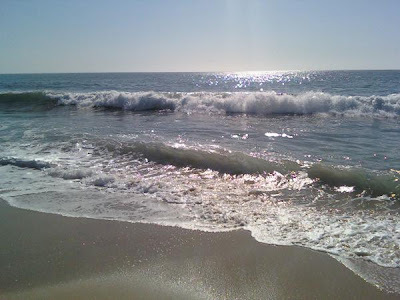 James Dashner here, reporting live from Northern California. I've been having a good ole time here, lovin' every minute of it. And believe it or not, I actually took pictures (which you've figured out by now)! Mom, get up off the floor. 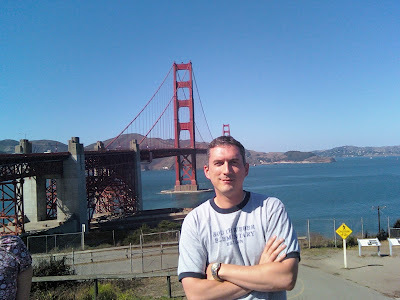 I spent Monday taking all of your advice, being as big a tourist as possible in the San Francisco area. 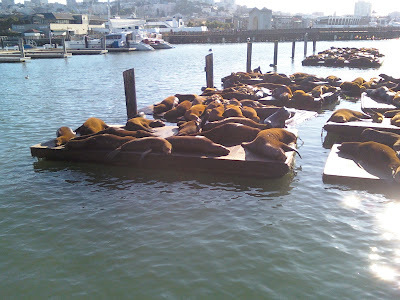 The Golden Gate Bridge, Pier 39, Fisherman's Wharf, street performers, fresh seafood, etc. And talk about perfect weather. I'm definitely coming back here with my wife. No doubt. The last two days have been nonstop. Yesterday, I was lucky enough to hang out with the students from Foster City Elementary, Immaculate Heart of Mary School, Crestmoor Elementary, and Central Elementary, followed by an awesome signing at Barnes and Noble in San Mateo. Then today it was off to Warwick Elementary, Kitayama Elementary, and Brookvale Elementary, followed by an awesome signing at Borders in Union City. Wow. I forgot how fun and brain-draining it is to do these signings. I love it, love meeting the kids, love seeing them get excited about reading. I can't think of a more rewarding job. To all you students, teachers, principals, librarians, etc. : THANK YOU. And the icing on the cake: we sold a lot of books. The next couple of days will be spent in the Walnut Creek and Clayton areas. The amazing Joel Harris of Clayton Books is in charge, and he's working me to the bone. But I get a prize - he's taking me to the Giants-Dodgers game on Friday night! Yeah! In other news, I'm really tired. Good night. This is my last work day before the Fall 2008 Edition of the Change the World Tour kicks off in the San Francisco area. I'll be there all of next week, and then it's off to Houston, New Hampshire, Massachusetts, North and South Carolina, Utah, and Idaho. Six weeks in all, dozens of schools, probably 25,000 students spoken to, lots of signings. I can't wait! For the schedule of book signings, go to http://www.the13threality.com/ and click on "Tour Dates." I'll be blogging regularly from the road, so be sure and check in. Last time I asked about Halloween, whether you loved it or loathed it. Here's my answer: I LOVE it! Now, the Dashner Dude doesn't dress up, mind you. I hate dressing up. But I love seeing the kids dressed up, giving out candy, taking my own kids around the neighborhood, the weather, the decorations, the jack-o-lanterns, the smell of pumpkins burning from candles, my wife's special recipe for cooked pumpkin seeds, creepy music, yada yada yada. I love it all. October is one of my favorite months, topped only by November and December. Today I'm having lunch with the woman who changed my life forever. Okay, that sounds a bit dramatic, but she did! Honestly. Go back and read about it in one of my old posts. Stacy Whitman, Editor Extraordinaire. Her editorial feedback on THE MAZE RUNNER was brilliant, and it never would've made it to SOLD! without her. She's freelancing now, so I strongly urge you to contact her and seek her help. I don't know if I can give out her email address - I'll ask her today. In the meantime, email me and I'll tell you how to contact her. J. Scott Savage (check out his amazing FARWORLD website) and Sara Zarr (who just turned in her manuscript!!!!) are also joining us, so it's gonna be good times. Ya know, the only thing better than being an author is being friends with other authors. We're a strange breed. Well, have a great weekend, and be sure to watch plenty of football. It makes the world a happier place. Note: Hopefully I'll be showing you some covers very soon..... Oh, and the Advance Reader Copies of THE HUNT FOR DARK INFINITY went to press today! Thanks for all the nice comments on my posting of the workshop notes from last week's LUW conference. (If you missed it, check out the previous post.) Stacy Whitman, editor extraordinaire, pointed out that many editors hate semicolons. Guess I'll find out soon how Krista at Delacorte feels! For some reason I like them. Yesterday my wife asked me to take a day off to get some things done. I, being the incredible husband that I am, agreed. Why am I telling you this? I have no idea. Today it was back to work. I got an email from Krista this morning with her first crack at the "Cover Copy" for THE MAZE RUNNER, which is the little blurb you'd see on the inside jacket flap or back of the book. This was thrilling to me, I don't know why. I really liked it, but gave her some feedback. She changed it a bit and now it's pretty much ready to go. The reason she's doing it is in preparation for officially introducing the Fall 2009 lineup to the publicity and marketing folks at Random House. This gave me chills. Also, she told me they're working on the cover and I might see something very soon. I don't know if my brain can handle seeing 2 covers for 2 books so close together. It's going to be so interesting to see how much of a different feel it has, considering it's for an older audience than my 13th Reality books. I can't wait!!! I also spent today running, eating, brainstorming on 13th Book 3, and answering some very old emails. All while hanging at the SLC library with my writing posse: Sara Zarr, Anne Bowen, and Emily Wing Smith (well, not the running part). I'll spare you the details of our very interesting lunch conversation. Let's just say the word "gas" was used frequently. Completely Random Question of the Day: Do you love or loathe Halloween (coming soon!)? I'll reveal my answer next time. THE MAZE RUNNER has been turned into my editor, the wonderful Krista Marino. 2 months of hard work is complete. I am a very relieved and happy man. 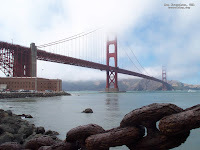 I won't have much of a break - I leave for San Francisco next Monday to start 6 straight weeks of touring the country. I also need to begin working right away on THE 13TH REALITY Book 3. As well as a proposal for my next book with Random House. But for now, I shall breathe. This past weekend at the annual League of Utah Writers conference was AMAZING. I'll blog more about it later, but it was easily one of the best conferences I've ever been to. I had such a fun time and felt so welcome. To all those responsible, a very hearty THANK YOU. o Think of something horrible that happened in their past. o Something that makes them happy when they remember it. o Give them a dirty secret. o Make sure all your main characters don’t sound exactly the same! 2. Plot – at least a little. o I challenge you to know how it ends before you begin. It will make all the difference in the world. o This doesn’t mean you should be stagnant. Anything goes—you can change whatever you want, whenever you want. But start with a path. 3. Always think about the Five Senses when describing a place. o Create empathy for them. o Make the reader feel somewhat guilty for hating the villain. Bad: He knew that he needed to kill her. Good: He knew he needed to kill her. Bad: He was standing in the road, glaring at me. Good: He stood in the road, glaring at me. Bad: Every few seconds, a blade would pop out of the robot’s chest. Good: Every few seconds, a blade popped out of the robot’s chest. Bad: Everything about him seemed to be hard and cold. Good: Everything about him was hard and cold. 6. Semicolons. I love semicolons! o Okay: His back struck a hard metal wall. He slid along it until he hit the corner of the room. o Better: His back struck a hard metal wall; he slid along it until he hit the corner of the room. 7. Chapter structure can do wonders. o Short, but not too short. My rule of thumb: 1500-2500 words. o Intriguing endings, but don’t do cheap tricks. Bad: She opened the door and gasped. Good: She opened the door and gasped. There, lying in a pool of dark liquid, sat a lumpy bag with her name scrawled across the front. 8. First lines. You must have an awesome first line. First page. You must have an awesome first page. 9. Set writing goals and track yourself. Be nerdy about it. 10. Dialogue. Read it out loud. Have focus groups read it. Make sure it sounds natural and true to each individual character. Use dialects if it makes sense. Maybe a character has a quirky word or phrase or way of speaking. But no matter what, your dialogue must be strong. 11. Take your time. Develop things. Describe things. Give lots of internal thoughts. Envelop the reader in a journey, not just a step by step narrative. 12. Be original in your similes and metaphors, and use lots of them. As you go through the day, look for things that make an impression on you, write them down, then use them in your writing. 13. Read like crazy – don’t let writing lessen your time reading, AT ALL. I’ve learned more from reading Stephen King than any class or workshop I’ve ever taken. 14. Do research or people will catch you. 15. Story. It’s all about story. Make it compelling, make it exciting, make it terrifying, make it full of conflict. Have your characters suffer sacrifices before they win. Have surprises and plot twists. The writing will come, and should always improve. But first and foremost, make sure you have an AWESOME story. 16. Be creative in how you create mysteries. Even simple events and revelations can be tweaked to turn them into mini mysteries that help intrigue the reader and keep them moving through the story. o Mom’s revelation in Book 2. Cool, but I made it better. Added scene in beginning where she runs toward Tick, saying she has to tell him something. Revelation comes at end. 17. Avoid cliché like the plague (get it?). Don’t write a book about a farm boy in a fantasy land trying to obtain a magical object to save the kingdom. Just don’t do it. Come up with something the world has never seen before. Not an original idea, per se, but your own twist to it. 18. Rewriting. It takes work. A first draft is not publishable. Neither is a second draft. Maybe not even a third. You have to devote yourself to working hard on revisions if you want to make it. 19. Don’t write the same way you’d tell a bedtime story. It’s totally different. 20. Make your characters strong. Act, instead of react. o However, give them flaws. Make them do things that will cause the reader to dislike them momentarily. Do you wanna read my boring junk? Just a quick note to say I'm off to League of Utah Writer's annual Roundup writing conference. I wish all of you could come - it's gonna be good times. I'm sure most of you will just happen to be in Ogden, Utah anyway this weekend, so stop on by! The class I'm teaching is called "20 Things I've Learned Since First Getting Published." If anyone is interested, I could post the content of this workshop sometime next week. However, I shan't be so presumptous to assume you guys wanna read my boring junk. So let me know. The only painful thing about tomorrow is I'll miss the Georgia-South Carolina game, and there's no way I can avoid hearing the score before I get back home and watch it on the DVR. Maybe I'll have my eardrums removed. Oh, and my eyes. Really not practical, actually. I appreciate all the nice comments from last time - about you guys preferring me working on my books instead of neglecting them and blogging. Well, I'll try to keep doing both. I like having this connection with my readers and friends. I'm getting to the point where my brain is fried on THE MAZE RUNNER. I've read the stupid thing a million times, and I'm going through feedback comments, which just start driving you batty. It becomes so subjective, and often the cost/benefit ratio just isn't worth it on a lot of the changes. But on the other hand, it's hard to ignore advice, even if it would only make it a teensy tinsy bit better. Starts to drive me crazy. But don't get me wrong, I REALLY appreciate it and would never choose not to do it. Plus, the end product wouldn't be as sweet if I didn't have to struggle a bit, right? I LOVE writing the first draft. Love it, love it, love it. But revisions really start to wear me down after awhile. Am I complaining? Yes, I think I'm complaining. Bad James. Be thankful for what you have and quit whining. I am ashamed. I'll keep working diligently until I can whip this thing to my editor on Monday. It's almost here! J. Scott Savage, otherwise known as Jeff, took me and our mutual editor, Lisa Mangum, out to lunch today. It was so much fun! All we did was talk shop, and it was great. I came up with some AWESOME ideas for Book 3 of THE 13TH REALITY. Can't wait to get working on that. I plan on relaxing next week and playing around with that book. It's gonna be good times. Speaking of Savage, his book will FINALLY be out, officially, on Friday. It's already in many stores. I'm going to do a full blog post on it next week, but in the meantime, you gotta check it out. VERY GOOD BOOK. 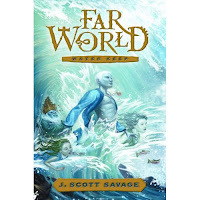 It's called FARWORLD: WATER KEEP, and Jeff is having a release party in Spanish Fork Utah this Saturday afternoon. For more information, CLICK HERE. I hope some of you are coming to LUW Roundup this weekend. I'm teaching a class (twice) called "20 things I've learned since first getting published." I might even throw in a bonus Number 21. Don't miss it! Well, not much else to say. Be good, and don't be mean to people. 1. I saw a preliminary version of the cover for THE HUNT FOR DARK INFINITY today, and let me just say this: yeah boy. It's awesome. I love it. I'm hoping to reveal it to the world sometime next week, so stay tuned. Bryan Beus, you are Da Man. 2. Our Grand Prize winner, JN Future Author, has already read THE MAZE RUNNER and returned his feedback to me. It must've been fate to pick someone so willing and eager! I don't think he'd mind me telling you that he said it's definitely one of the Top 5 books he's ever read, and he's read many, many books. This really made my day. 3. The Falcons won yesterday, in spectacular fashion. Matt Ryan threw a touchdown on his first ever NFL pass and Michael Turner ran for 220 yards and 2 TDs. Giddyup. 4. Once again, I have failed you in keeping up my events calendar. I have to figure out a better way of doing this! Anyway, I'm very excited to be a guest at the annual League of Utah Writers Roundup Conference this weekend in Ogden UT. I'm teaching 2 workshops, sitting on a panel, and - I'm very excited about this - I get to be the MC of the awards dinner on Saturday night. It's gonna be fun! For more information, CLICK HERE. I'll be visiting lots of schools and doing many signings, so please come see me! 6. THE MAZE RUNNER is due exactly one week from today. I'm spending this week going through some feedback and touching up a few scenes I don't feel entirely good about yet. But I feel like it's almost there, and I'll definitely be ready to send it to my editor next Monday. Let us all pray she doesn't hate it. 7. I may have some great news soon. How's that for vague? Stay tuned. 8. If anyone thinks I'm neglecting you, I'm very sorry. This has been the most intense 2 or 3 weeks of my author career, but it'll be over soon. 9. Speaking of, I've also been reviewing the first pass pages, galleys, typeset pages, whatever you call it, for 13th Reality 2. That's due on Wednesday. Hey, that book's not half bad! 10. I consumed the single largest hot dog ever created by man tonight. My neighbor grilled up some dogs that looked like lumber, dwarfing the buns my wife purchased. I'm pretty sure I shaved 7 months off my life by eating the whole thing. Shoot me an email. Congrats! As for me, I'm not going to say much else today. I think everyone's out partying for Labor Day. THE MAZE RUNNER is due two weeks from today. Wish me luck.